After a series of Blade and Soul betas, Blade and Soul finally comes to North America. Blade and Soul gold is very important in game. The most important thing should be used to upgrade weapons and accessories. 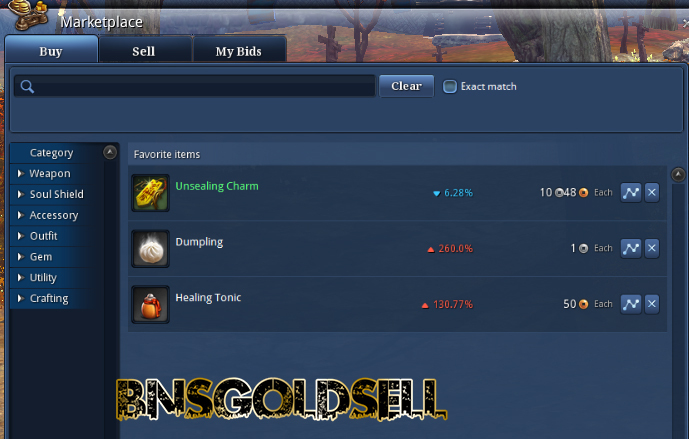 This is a guide to teach you how to make Blade and Soul gold in game. As we know, Blade and Soul weapon upgrading system requires you craft, acquire, and buy various of materials. It is not likely you can craft all materials you need to upgrade weapons, therefore making enough Blade and Soul gold becomes quite important. 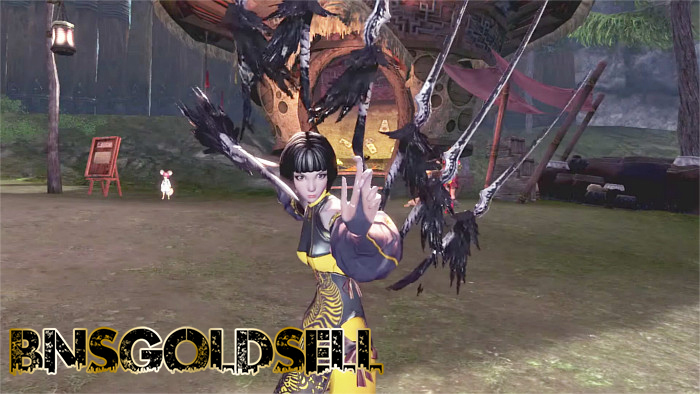 If you don’t want to make Blade and Soul gold by yourself, you can choose to buy Blade and Soul gold from BNSGoldSell.com, which is the lowest price and safe delivery guaranteed! The most primary source of gold is Daily Dungeons. NCsoft is adding new content to Blade & Soul regularly, and there are five main areas with most gold so far, like Hogshead Pastures, Highland Necropolis, Blackram, Orchard of Souls, Lycandi Foothills, Misty Woods and Sapphire Basin. Though they are only accessible to high level players, nevertheless, high level players need Blade & Soul the most. After you complete these dungeons, you can get these rich gold rewards. Besides, monsters in the top dungeons drop decent amount of Blade and Soul gold. If you are playing a high AoE damage class, you can go faster. What you need to do is to collect lots of mobs at once and wipe them out with your AoE skills. If you are low-health or single-target class like Assassin, you are not likely to gather as many mobs at once, perhaps, it takes more time to make gold. However, you can earn extra exp in this method. Crafting system is also a good way to make money. You just need to craft useful items and sell them on the open market to other players. 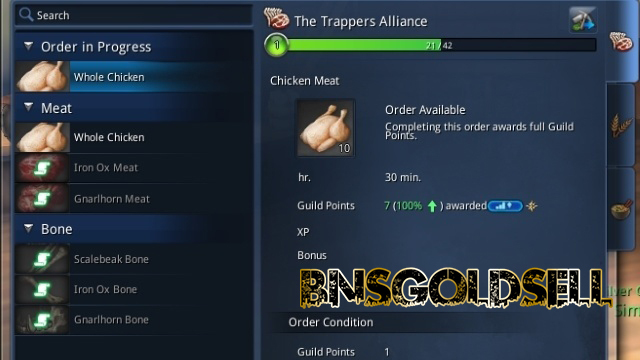 There are two gathering guilds and two crafting guilds in Blade & Soul, which means you can use for guilds to creat tow types of craft goods and two types of materials. To make more gold from crafting, you have to know what craft goods are in high demand. High demand materials are usually can sell for more money. Therefore, you should keep an eye on market price. Then I want to introduce the best guilds for Blade and Soul gold making is the Soul Wardens which create transformation stones. Players of all levels need these items to upgrade weapons. Besides, Merry Potter guild is also a good complementary guild. It is also can be used to create transformation stone crafts. Merry Potter’s crafts can sell to lower level players to complete Windstride quest, and sell the transformation stone precursors to high level players. Also, you can choose both of these two guilds by using overlapping sets of materials. Both guilds draw on the output of the Tree Fellers to craft their goods. You can pick either the Trapper’s Alliance or the Green Thumbs as your other gathering profession. The Soul Wardens need meat and the Merry Potters need soil and grain. Auction House is not an effective way to make gold, however, if you well know the supply and demand of the Auction House, it is likely that you can make a nice amount of gold by rare items which are quite profitable. It is really hard to predict which items can sell for good price, however, most important items and drops are well-known, which makes many players use this way to make money. To make fast Blade and Soul gold, you should know how crafting works, and you need to purchase some ingredients to make your upgrades. It is of great importance to pick good guilds which can help you save money in getting big materials. It is recommended you start with daily dungeons, then work on some crafts, and get some useful drops to sell them as your way to make gold, rather than use only one method.